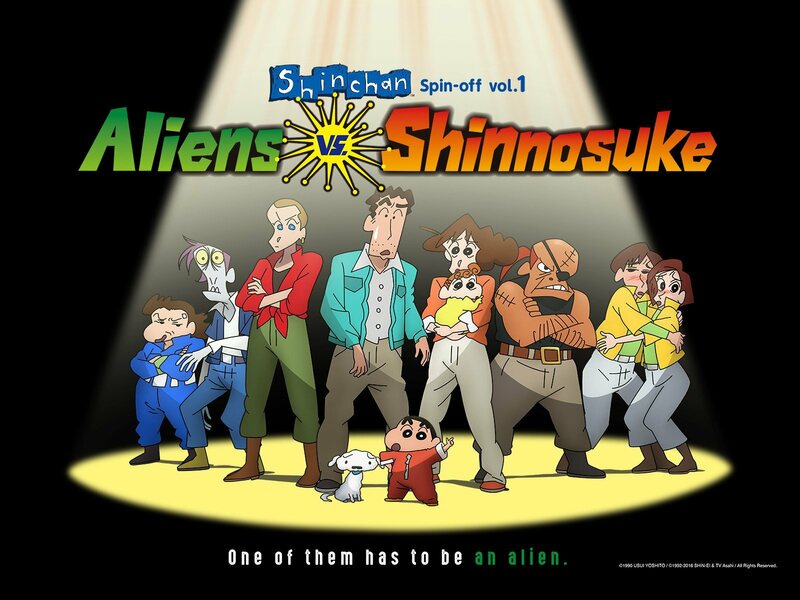 The first season of the spin-off series is set 100 years from the present time, starting with the entire Nohara family and their pet dog waking up in an unfamiliar space station. 10 people and a dog wake up in an unfamiliar spaceship. Why are they there? Nobody knows. Then they hear an eery roar. What’s going on? What will the Nohara family do? 100 years had passed while Shinnosuke and the others were hibernating. When they introduce themselves, they discover that the mall’s parking lot is the last memory they all have. They cooperate to locate a small ship to get back to Earth. The small ship Shinnosuke and Ellen find suddenly explodes. Who blew it up and what for? Was the culprit one of them? Meanwhile, Hiroshi stumbles upon a mysterious door. “Mr. Smith” was actually Jiro Jailbreaker, a fugitive sentenced to 800 years in prison. He takes control of all the food. As Takosuke butters up to Jailbreaker and gets some, Hiroshi must beg to be given a small share for his family. Meanwhile, Ellen notices something about the capsules they woke up in. 06. 10 People and a Dog! Micchi and Yoshirin disappear. Shinnosuke and a few others search for them and find something else. There is one less capsule than the number of humans on board. No human could live for a 100 years without being stored in one. Is there an alien among them? Shiro suddenly grows bigger and Jailbreaker suspects that the dog is actually an alien. Hiroshi suggests a way to determine whether someone is human or not. As they take turns taking the test, Shiro changes even further. Everyone becomes paranoid. Jailbreaker sits before the food with a laser gun in hand. But people become hungry even under such tense circumstances. The situation take a sudden turn when Shinnosuke mentions the Chocobi snack he saw in a closed-off room. The alien called “Buttmen” finally appears before them. The people were brought on board as Buttmen’s food. Buttmen attacks them but they manage to escape to the food storage room. There, the robot takes Hima hostage and tells them the surprising truth. Attacked by Buttmen, they break up and run in different directions. Shinnosuke pulls away from Hiroshi to save Shiro. His parents try to stop him but the boy and his dog are separated from the others by a fire shutter. Meanwhile, Jailbreaker and Takosuke arrive at the cockpit first. Will they take off without the rest of the group? Shinnosuke and an Buttman face off. The silliest 5-year-old on Earth and the perfect life form clash in a fierce battle of butts. Who will come out victorious? And will Shinnosuke and the others really be able to make it back to Earth?